The Bay Villas were the first luxury condominiums in the Kapalua destination resort complex: 141 units located on the shoreline above Oneloa Bay, with breathtaking views of the islands of Molokai and Lanai. Units range in size from 1,100 to 2,000 square feet including lanais and are either one or two bedroom. The villas have high ceilings, sunken garden baths, and ceiling fans. The Bay Villas are the closest property to the Ritz Carlton Hotel, shops and Kapalua Bay Beach. Gas barbecues and recreation areas for the convenience of owners and guests. This one bedroom one bathroom oceanview is located on the ground floor close to the tennis courts and has a nice grass area in front of lanai. It has central air conditioning, a big screen TV, washer/dryer, iron, ironing board, dvd/vcr player and CD player, free internet access, fully equipped kitchen and beautiful oceanviews. King size Sleep Number bed--adjust the firmness/softness to your comfort level. This is a beautiful remodeled unit that won't disappoint. Tastefully decorated 1 bed / 1.5 bath, with beautiful gardens surrounding this desirable end unit. Two story, front row oceanview townhome is convenient to pool/grill area below. Wonderful ocean views from both levels, including large wrap around lanai downstairs and bedroom lanai upstairs. Can hear the ocean at night from the romantic 4 poster bed. Special tropical touches throughout. Novels and Hawaiian music CDs provided. Porcelain tile floors. Queen sofa sleeper in living room. Flat screen tvs, dvd, vcr, washer/dryer, free wireless, upgraded sheets, complete kitchen. 2-3 minute walk to Oneloa beach. One bedroom/one bath upstairs oceanfront unit. Sweeping ocean view from the living room, dining room, kitchen and deck. All amenities included. 50" flat screen TV can be enjoyed from two lazy boy chairs. Oversize bathroom and fully equipted kitchen. Easy access to a beautiful oceanfront pool and bbq area. Level access with no stairs. Free parking is just steps from your door. 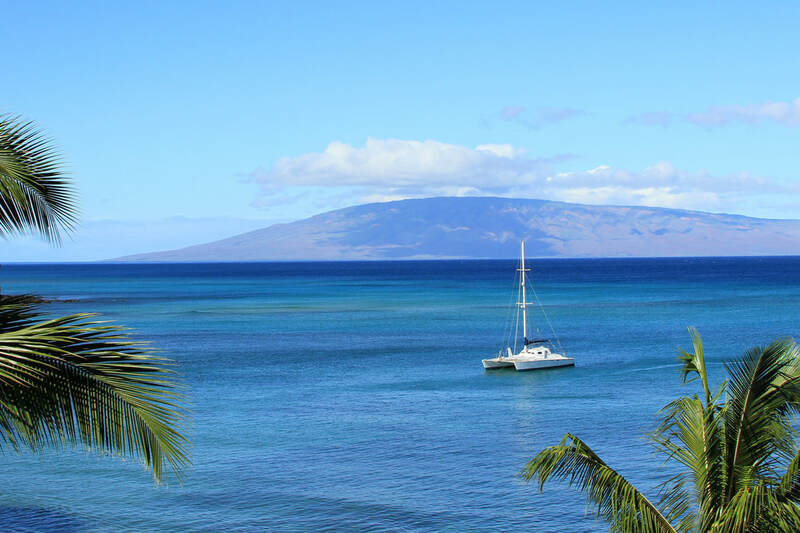 Walking distance to the best beaches on Maui. This open 1000 square foot air-conditioned villa is an end-unit two story townhouse, with oceanfront views from both levels. Upstairs is a master bedroom and bath with a private sitting area and lanai. Downstairs is a remodeled kitchen, expanded living / dining area, private bath with shower, and a full lanai facing the ocean. The villa has been updated with new paint, carpet, flooring, window coverings, and furnishings enhancing the casual ambiance of this island paradise. New kitchen appliances and washer / dryer have been installed this past year. If you choose to stay connected to the outside world during your stay, there are two flat screen LCD TV's with Cable and wireless Internet access. Our guests can walk to two pools on the property - one is at our cul-de-sac. 1 bedroom villa is 1,200 square feet and is comfortably furnished. This is a very nice corner townhouse unit that overlooks the pool and has a great view of the ocean. It has a full kitchen, washer dryer, internet access, a King bed & Sofa Sleeper and two TV's.The Kapalua Villas Maui Resort is situated on three white-sand beaches on Kapalua Bay. Two of its three golf courses were designed by Arnold Palmer, and the 10 tennis courts are lighted for complimentary play day or night. Through adjacent hotels, guests can dine in more than a dozen restaurants. There are 8 swimming pools throughout the resort; guests can also enjoy the services of the Kapalua Spa for an additional fee. A complimentary shuttle is available by request for transportation between all points on the resort and the West Maui Kapalua Airport. This is a beautifully remodeled unit decorated with the finest of furnishings This is a beautiful newly remodeled ocean view two bedroom/three bathroom unit. It has central air, an enclosed lanai sitting area, granite counter tops throughout and Tommy Bahama décor. It has King beds in both bedrooms and a queen sofa sleeper. This is a beautiful remodeled unit ocean view unit! It has stainless steel appliances, tile floors, granite countertops, flat screen TV's, DVD, CD player, all new furniture, king bed with queen sofa sleeper in living room, free internet hook-up, and a nice grass lawn area leading to ocean. There are three pools in Bay villas.Enjoy access to the sandy beach below where you can watch sea turtles and Humpback whales come to play just offshore. This unit will not disappoint. Maui oceanfront condos above Oneloa Bay and the Ritz Carlton Kapalua. The Kapalua Bay Villas are located Oceanfront in Kapalua Maui, Hawaii. This townhouse has all new furniture, stainless steel appliances, flat screen TV's, dvd, cd player, breakfast bar, granite countertops new kitchen cabinets, and free internet access. Enjoy beach walking, ocean and outer island views, whale watching in-season and the occasional tropical rainbow. This is a great unit for the perfect vacation.